Brandy refers to a variety of spirits such as Cognacs and Armagnac, since they are distilled from grape wine, while Calvados and other apple brandies are distilled from cider, and other fruit brandies are derived from berries and tree fruits. The brandies considered to be the most popular are those that are barrel-aged since they turn a brown color and have a strong aroma. To further popularize California brandy, there has been a push for it in the cocktail scene. 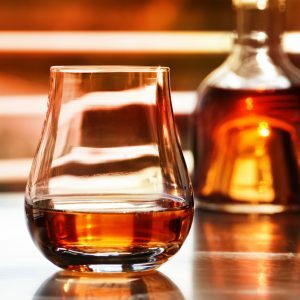 By pushing more brandy into the cocktail world, this could lead to more inclusion to drink recipes as opposed to the common use of whiskey or rum. In addition to that, educating consumers by emphasizing the “terroir” of brandy, similar to that of California wine, has proven successful. Another implemented strategy was to create a “straight brandy” category similar to straight bourbon, with additional legal requirements regarding production, to help drive the premium association.